It’s so easy to get caught up in the daily grind and forget that an island paradise lies a mere 20 kilometres off the Perth coastline. 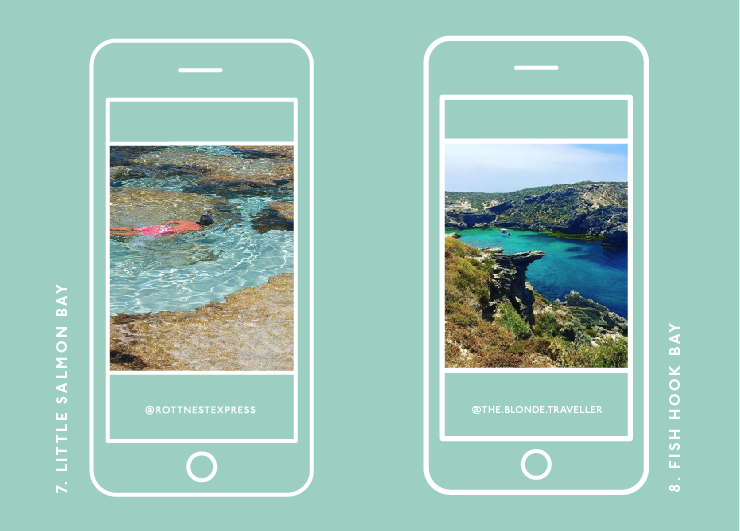 From snorkelling in the azure blue waters and exploring all of its nooks and crannies to taking selfies with quokkas, Rottnest has got a lot going for it. Plus, it’s got to be one of the most beautiful spots in our sunny state. The fastest way to get to the Island is with Rottnest Express, who depart from North Fremantle, B Shed and Elizabeth Quay's Barrack Street Jetty daily. From bike and snorkel hire to adventure boat tours, they’ve got all the add-ons to make your Rotto getaway one to remember—just don’t forget to pack that camera. 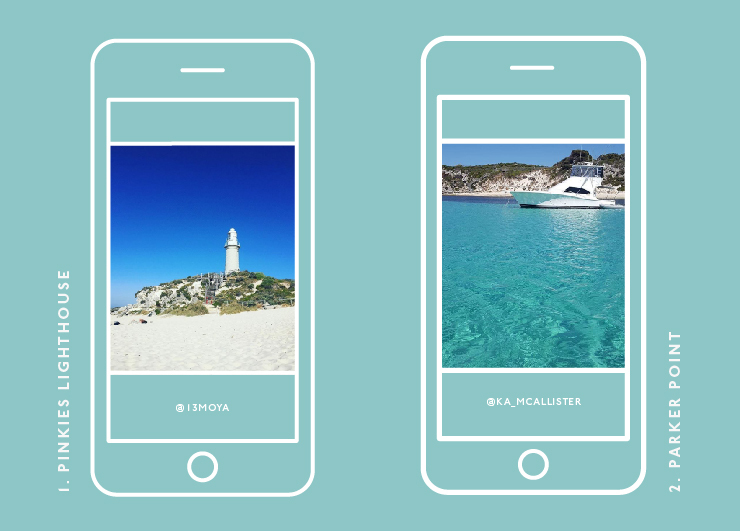 Here are 8 of Rottnest’s most Insta-worthy spots—say cheese! One of two light-houses on Rottnest, the view of the Bathurst Lighthouse from Pinkies Beach is nothing less than iconic. Plus, you can’t beat good ol’ Pinkies for a frolic in the sand, surf and sun. Soft, white sand and clear, turquoise waters—Parker Point, you make our jaws drop every time we lay eyes on you. No matter which way you point your camera, you’re sure to achieve Insta gold! A trip to the Island is not complete without stopping by the by the Rottnest Bakery for some of their delicious bread and pastries. 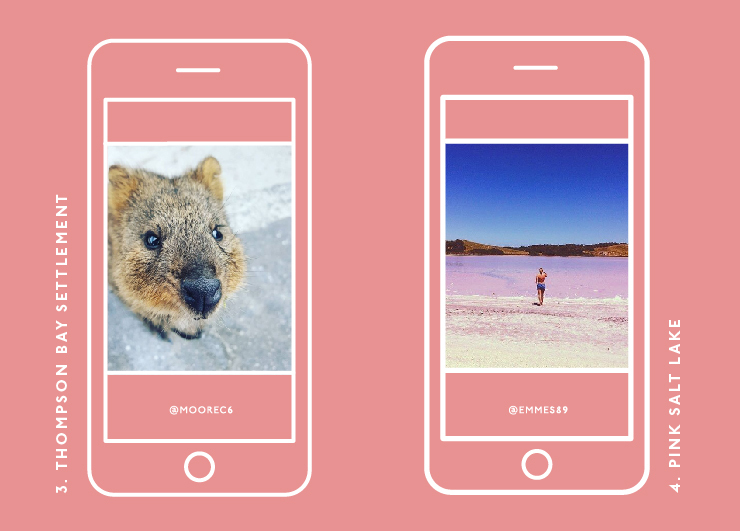 While you’re in the hood, find a friendly quokka and try your hand at shooting a selfie with one of these adorable smiling critters. The only thing better than a salt bae meme on Instagram is a shot of the beautiful pink salt lake between the Thompson and Geordie Bay settlements. This spot is particularly pretty around sunset! Blink and you’ll miss them, Cape Vlamingh’s blow holes along the west end of Rottnest are a sight not to be missed. You’ll want to set your shutter speed to fast for this one! Off the point of Fay’s and Geordie Bay, the Mermaid Pools are a bit of effort to swim out to, but they’re oh so worth it. And once you post your shot on Instagram your followers will go through the roof, not that that’s important (#vain). Underwater cameras at the ready, Little Salmon Bay is one of the best spots to get up close and personal with the fishes on Rotto. It’s nice and sheltered from the weather and waves, allowing for a clear as crystal view of the coral and sea life down below. Limestone cliffs crowd around the stunning waters of Fish Hook Bay, making for one of the most spectacular outlooks on Rotto. You definitely don't want to forget your camera if you're headed here! What are you waiting for? 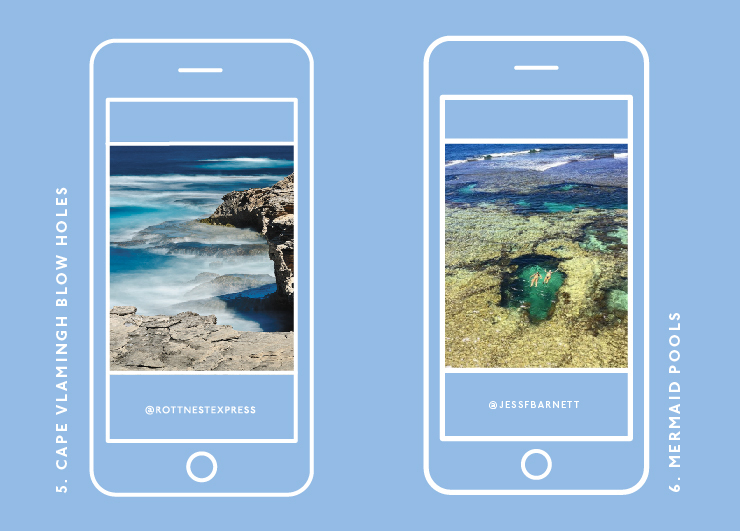 Book a trip to Rottnest now and get snapping! Editor’s note: This article is proudly sponsored by Rottnest Express and endorsed by The Urban List. Thank you for supporting the sponsors who make The Urban List possible. Click here for more information on our editorial policy.